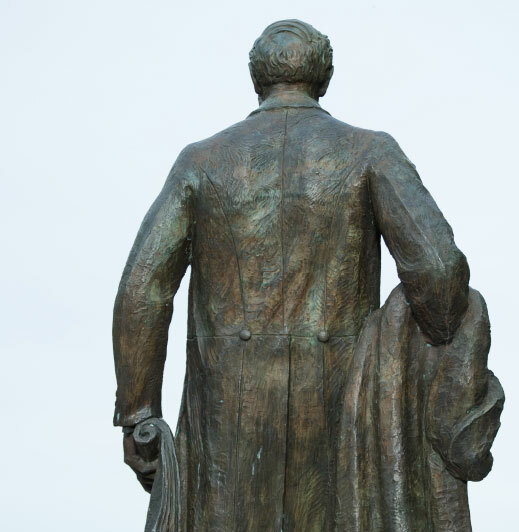 Weber State University's rich history extends from the late nineteenth century to today. WSU was founded in Ogden, Utah as Weber Stake Academy in 1889. “Weber” comes from the name of the county where the university is located, which was named after John Henry Weber, an early American fur trapper. In 1933, the academy was made a state junior college. Following World War II, the college outgrew its downtown campus and moved to the present site on the foothills of the Wasatch Mountains overlooking Ogden and the Great Salt Lake. Weber State College awarded its first baccalaureate degree in 1964. In 1991, the college became Weber State University, appropriately symbolizing its role as Utah’s first comprehensive regional university that also retains a community college mission.